When I was a kid, I used to love getting notes in my lunchbox from my dad. (He always made my lunch...even when I was in high school.) A simple "I love you" or "Have a great day in school" went a long way to brighten my day. I've even left my hubby love notes in his lunchbox for him to see the next day just because I know it will put a smile on his face. With Lunchbox Love, you can leave positive notes with fun trivia questions in your child's lunchbox, backpack, binder, or anywhere. They also have sets for loved ones, girlfriends, and co-workers as well as a set to show appreciation for someone. We were sent volume one of Lunchbox Love for Kids. My kids are too young to read, but I'm planning to keep these in a safe place for use when they start school in a few years. In the mean time, there are several of the cards that I could leave in my hubby's lunchbox to surprise him. What I really love are the different sentiments for all occasions. There's a card praising a child for being honest, cards reminding children about acting appropriately (being kind, treating others well, sharing, etc.) and cards that tell your child that you love him/her. There are even two blank cards on which you can write your own message. 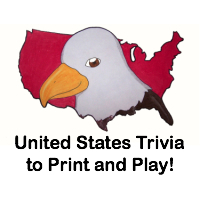 On the back of all of the cards are neat pieces of trivia which kids will love. This is such a fun way to show your kids that you love them and can really improve their day. 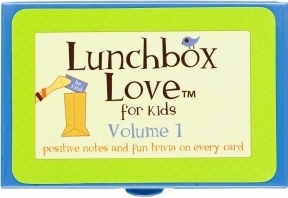 Cost: One volume (12 cards) of Lunchbox Love is $3.99 + shipping ($$$). Overall: We give Lunchbox Love a 10/10! One lucky reader will win a volume of Lunchbox Love for Kids! And if you don't win (or even if you do), you can use the promo code featured above for 10% off of an order, and you also get free shipping on orders of 4 or more volumes of Lunchbox Love. Visit the Lunchbox Love website and sign up for their newsletter (at the top, right of the page). Then, comment here with the email address you used to sign up with. 2) Follow @lunchbox_love on Twitter and comment here with your Twitter screenname. 5) Become a fan of Lunchbox Love on Facebook, and be sure to let them know that The Twinners sent you! This giveaway will close on October 22, 2010 at midnight. We were sent volume one of Lunchbox Love for Kids free of charge for the sole purpose of this review; no other compensation was received. All opinions expressed are my own. I signed up for Lunchbox Love's email newsletter. I'm in your IntelliGender giveaway. I'm in your Diamond Earrings giveaway. I'm in your Magic Violin giveaway. I'm in your baby pool.